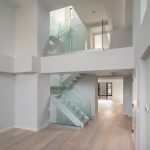 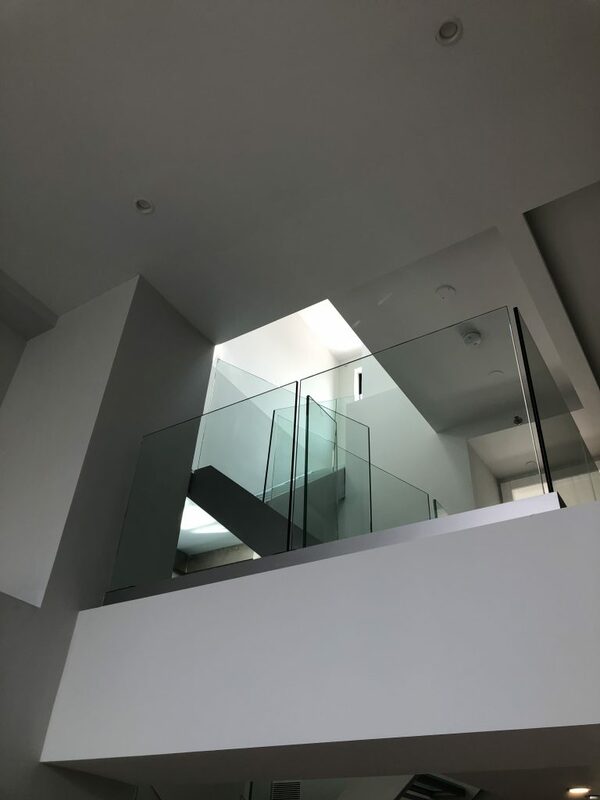 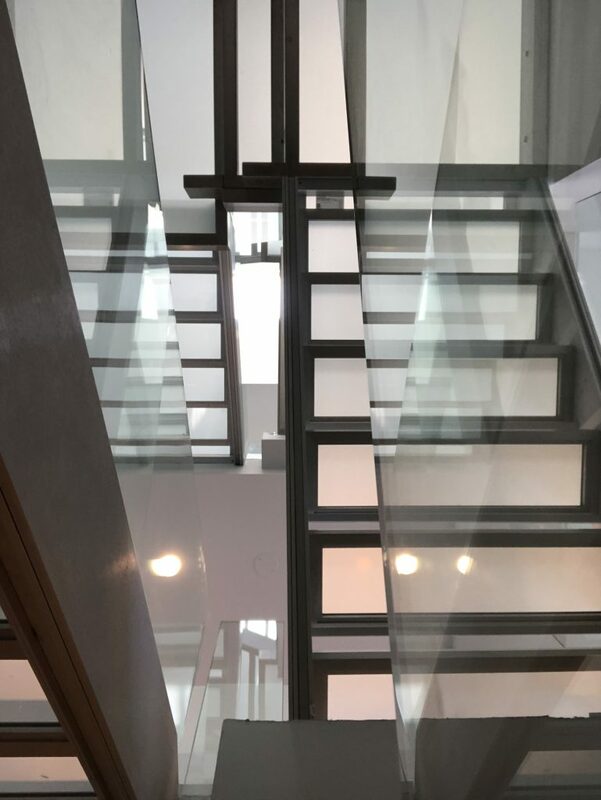 A $ 9.9 M triplex penthouse in Manhattan has three of our stairplane™ glass panel staircases stretching from bottom to roof terrace. 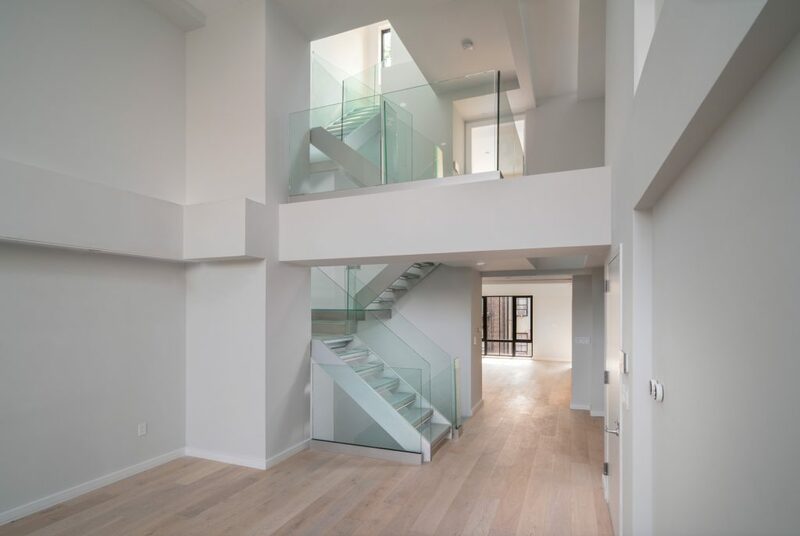 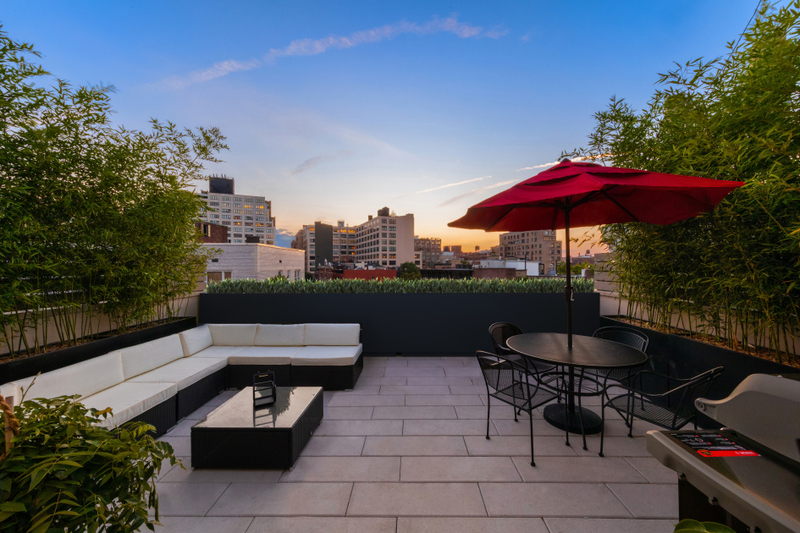 The high-grade aluminum and glass perfectly complements the luxurious finishes throughout the penthouse. 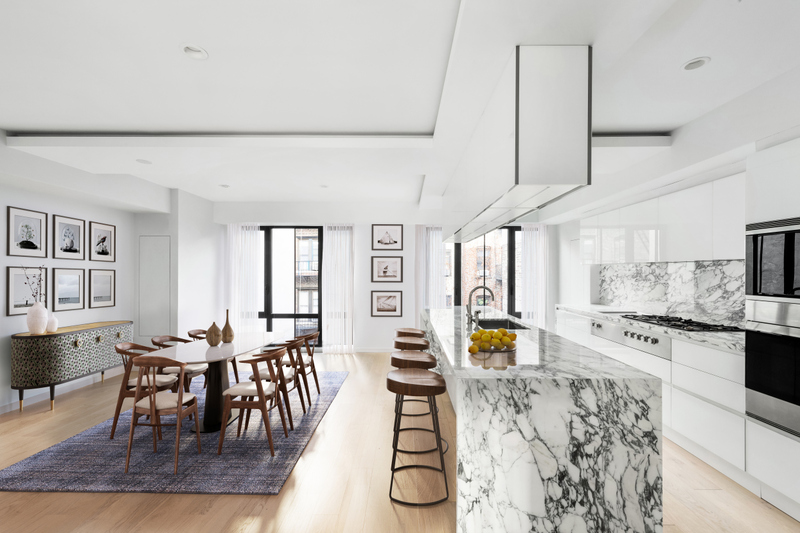 White marble, whitened oak and white glass are perfectly harmonious and add real value to this residential oasis.